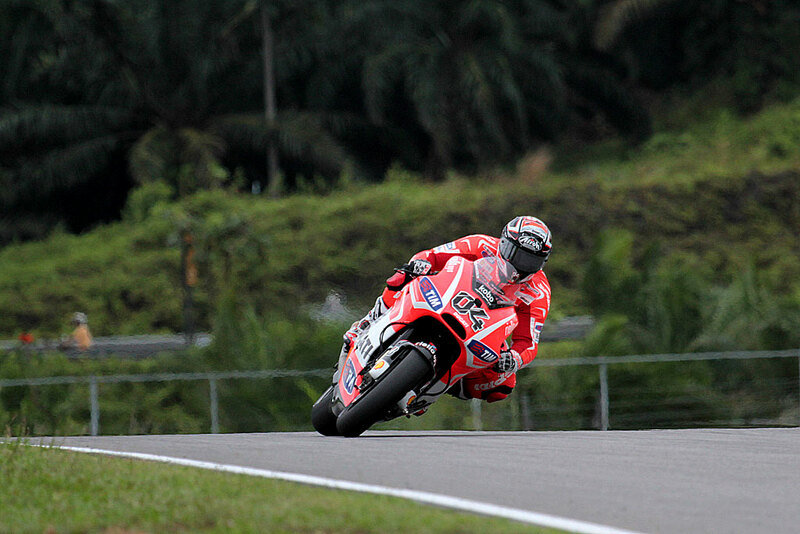 The difficult conditions in qualifying almost caused Andrea Dovizioso to crash on his outlap at Sepang. 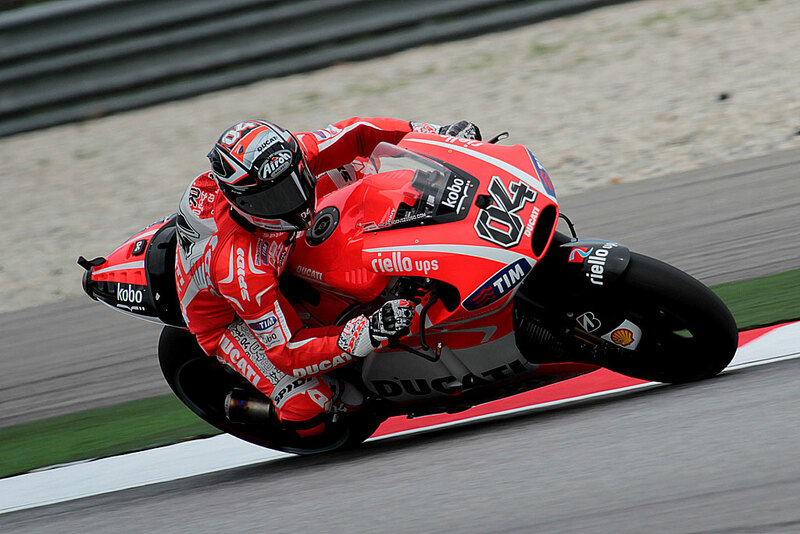 With the other 11 runners all using slick tyres Dovizioso felt that the risks of pushing too hard on the slick tyres was not worth the potential for crashing ahead of tomorrow’s 20 lap Grand Prix but even so he was happy with his laptime in the session and will line up from eighth on the grid tomorrow. 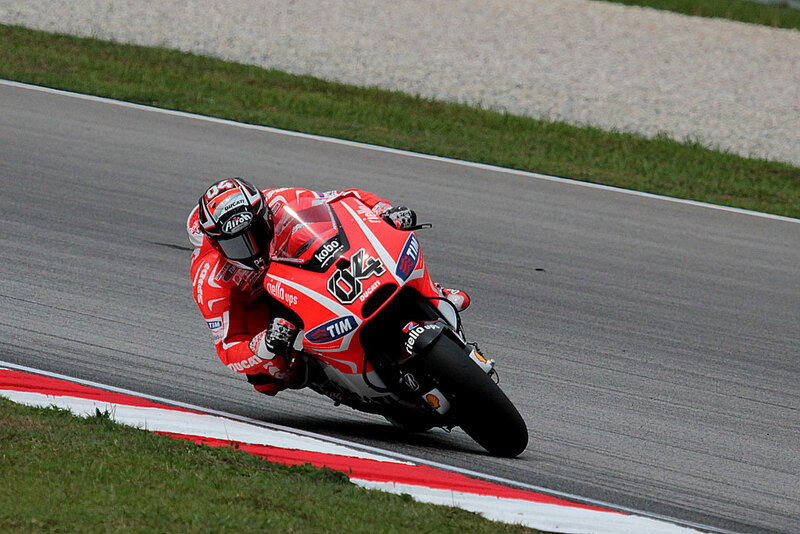 This entry was posted in MotoGP, News and tagged Andrea Dovizioso, Dovizioso, Ducati, grand prix, Grand Prix motorcycle racing, Malaysia, Sepang, Sepang International Circuit. Bookmark the permalink.